RICHARD JACQUES is a man of action. 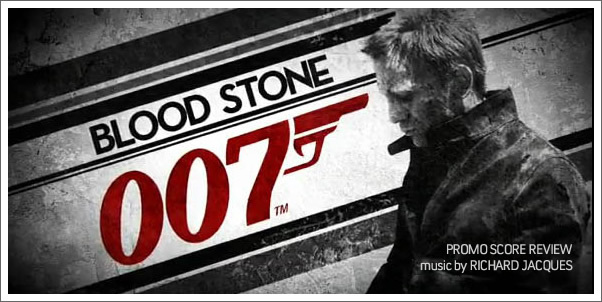 You know him best from his work on award-winning games like Headhunter and Mass Effect, and if you were a fan of those titles, then his latest work on JAMES BOND 007: BLOOD STONE may just be the score you’ve been waiting for from him since it combines the best of both worlds and then some. As he describes it, it was the kind of project every composer wants to get, but in many ways it seems clear that he was the most appropriate man for the job given his style, experience, and connections to the developers, Bizarre Creations. The question, then, is whether or not he made the best of it.